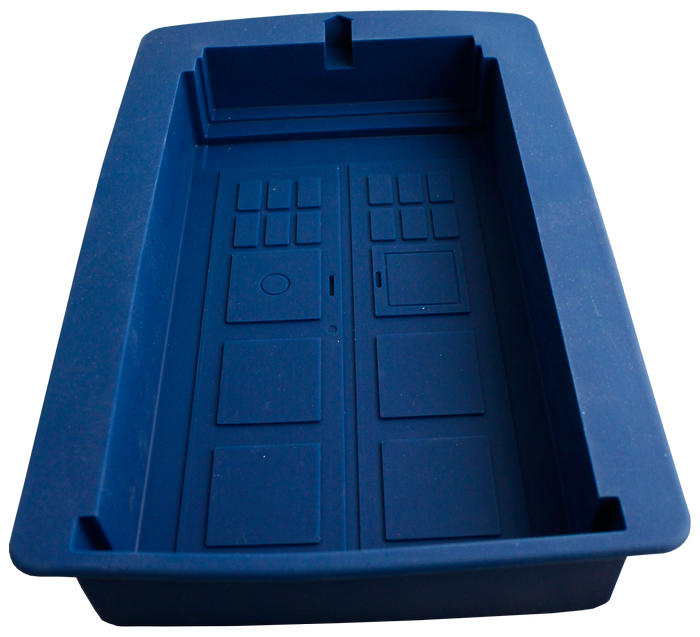 Bake up a storm with the TARDIS Silicone Cake Mould, enabling you to create a yummy dessert in the shape of our favourite time-travelling police box! Made of 100% pure food-grade silicone rubber, the mould can withstand temperatures of -30°C to 200°C. As well as shaping cakes, it can also be used for making TARDIS jelly, chocolate or ice blocks.